Famous worldwide for its Leaning Tower, Pisa is a historic resort town, but it is also a destination for business travelers due to the presence of major companies like Piaggio, Saint-Gobain and Olive Orchard. All this makes it so that the city is visited by a million people who decide to book rooms in one the hotels in Pisa. Most 3 star hotels in Pisa are located in the historical centre, a few minutes’ walk from Piazza del Duomo where you can find the Cathedral, the Baptistery and the Leaning Tower of Pisa. All the hotels in Pisa city centre offer services and amenities suitable for both tourists and business travelers, such as well-appointed rooms with Wi-Fi Internet access. It is not uncommon that hotels in Pisa have small gardens or outdoor spaces with gazebos where guests can relax with a drink and where breakfast is served in the summer season. Often hotels with gardens in Pisa are business hotels, which offer guests rooms for meetings and business appointments, gyms and Internet points. 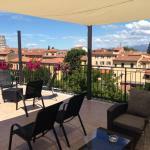 About half of the accommodation available in Pisa are Bed&Breakfasts. 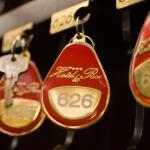 The wide selection of B&Bs in Pisa allows travelers to choose the solution that best suits their needs and preferences. In fact in the city there are both classic B&Bs housed in old houses mainly with furniture in wood, warm atmospheres and familiar environments, as well as very modern B&Bs, with designer furnishings. Almost all the B&Bs in Pisa offer Wi-Fi Internet access, private bathroom, LCD TV and in some cases also chafing dishes or microwave ovens. In Pisa, the station and the airport are very close to one another, connected by a dedicated rail service. The fact that the station and airport are less than 1 Km away from each other makes it so that the hotels near the train station of Pisa are very comfortable even for those who want to book a hotel near Pisa airport. And vice versa. 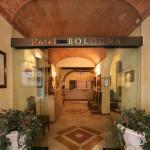 The prestigious Hotel Bologna is located near the railway station, set in an elegant building. It boasts a beautiful internal courtyard ideal to have breakfast or to chill out with a drink. The San Ranieri Hotel is located near the Leaning tower and few steps away from Piazza Mircoli, is a relaxing and charming hotel equipped with every modern comfort. 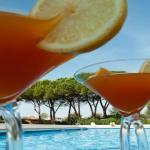 Elegant 3 star hotel in Pisa, Hotel Alessandro della Spina is ideal for your stay of leisure or business. 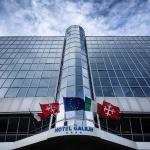 Located 5 minutes from Galileo Galilei and the Convention Center, it stands 10 minutes walk from the centre. The historical Royal Victoria, overlooks the river Arno, centrally located, near all the major touristic attractions and monuments of Pisa. Rental car and bikes service. Park hotel California is placed in a beautiful pinewood park and many other trees, is located few km away from the beautiful Tuscany beaches, with an outdoor swimming pool. 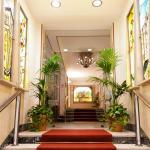 The Hotel Astor is located in the historic city centre, is 2 star hotel with a very good value for money. 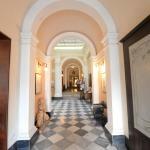 Recently refurbished, with modern furniture and amenities.